We already had enough conversation about BlogSpot or WordPress and for one reason I don’t like BlogSpot much is because the limitation of optimizing it for search engine. There are many BlogSpot SEO guides that you will find on Internet, and many of them is related to template editing and all, but in WordPress, plugins make it easier to optimize your blog. Anyhow, I’m not here to disappoint my BlogSpot friends. Instead, I will be sharing some cool BlogSpot SEO tips which will help you to get better ranking. Blog-Spot being a free Blogging platform, it’s always a preferred platform to start Blogging and learn the basics. If you have not created a Blog, here is a quick guide on How to create a Free blog on BlogSpot. 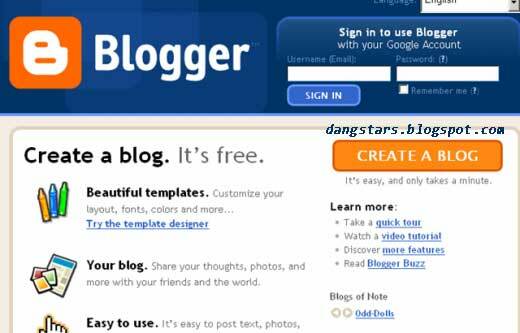 Google Blogger is free and easy to use web publishing tool. Many bloggers initially use Blogger and then Migrate to WordPress complaining about the lack of official templates, post SEO friendliness , plugins etc., We have already discussed this in our previous post With little effort we can make Blogger posts really SEO friendly and an effective free medium for online business . So here I have collected some search engine optimization (SEO) tips for Blogspot blogs arranged in no order . Harsh has already covered this feature in detail, and you can read it over here: How to use the custom permalink for BlogSpot blogs. Keyword density is an important aspect for better ranking. Too less will lead to less ranking and stuffing your Keyword will lead to over optimization. I usually maintain a ratio of 2%/post. Though, you can pick keyword density for your Blogpost SEO, account to one which works for you. Publish articles in relevance to post title and include necessary keywords in the post. Never stuff keywords to manipulate search engines. But after finish you can analyze the whole post to find out suitable locations where the keywords can be safely inserted without distracting readers . Label adds to the keyword density of the post. Labels should be widened rather than putting them into the single narrow category.I will explain this point by an example. Consider a situation when you are posting about Google chrome and putting them into label Windows software’s or browser. Here you will miss keywords like Chrome browser, Google chrome, etc. which would otherwise add to the keyword density of the whole post. Labels also affect related posts widgets in Blogger.And if there are so many posts tagged with similar labels , it would affect the arrangement of articles in related posts. We have already shared a detailed article on Image optimization for SEO and basis of optimization your image on BlogSpot is by adding alt tag and title tags in every image. In WordPress, this could be easily achieved by using plugins but in BlogSpot this needs be done manually. You should insert them manually after uploading each image. Here is a guide for Image optimization for SEO. Title, footer, and description plays an important role in search engine optimization of every blog. If you are targeting, some keywords make sure that you included those keywords in the above-mentioned locations. The Comment section should be no-followed and moderated to avoid spam comments. Try to include the post keywords when you are replying to reader comments. This would also add up to the total keyword density of the post. Since Google have integrated Google plus comment form with BlogSpot, I highly recommend you to enable it. This will ensure that you get higher social media interaction and share for your post. Blogspot is Google’s baby blogging platform and if you do it right probably you will be doing great in terms of traffic. Always get your basic right. I hope this guide will give you much better idea about BlogSpot SEO, though my suggestion would be when you think you are ready with Blogging and had enough experience on BlogSpot, move to WordPress. Here is a wonderful guide for WordPress, which will help you to get started. very nice post it helps. 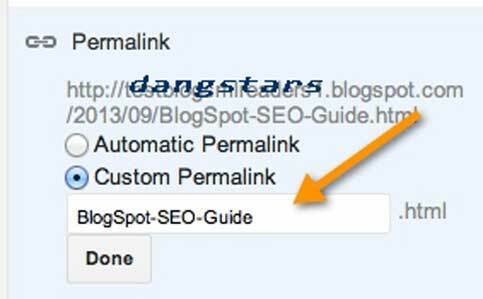 I was searching for some articles about 'Killer SEO tips for bloggers' and I came across this page 'http://dangstars.blogspot.com/2015/08/9-killer-blogspot-seo-tips-for-bloggers.html"
I noticed that you linked to one of my favorite articles -- How to create a free blog and start making money. Might be worth mention on your page.